Whether you work at home all the time or you only do it occasionally, your home office needs to be everything you want it to be. 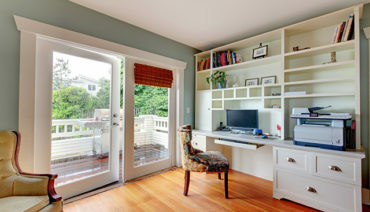 Organization is very important in business so you need to have your home office as functional as possible so you are not wasting time looking for the things that should be right at your fingertips. Let us help you to make your working space everything that you need it to be. We know how important your time is and running a business or just doing work from home can be stressful enough without having a cluttered and disorganized home office. Closets Direct design specialists can help you customize your home office to meet all of your needs. Once you have scheduled our design consultations to come to your home, the fun and magic begins. We will look over your space, take all the measurements that we need to, and listen to your needs and wants so we can make sure everything is perfect. Having a space that is functional is important for any room, but your home office needs to be efficient, organized, and peaceful. We will use all our skills to find the best accessories and elegant finishes to have your home office as nice as it should be. Our design specialists will take all of the information gathered during our consultation and compile it into a finished product. That product will be a 3D rendering from our computer software that allows you to see the finished product before anything is done. Sometimes we can do it on site, but within 2 days you will be to see your Clifton, NJ home office just as if you were sitting in it at that moment. With the 3D effects, you will see in real time where everything will be, how easily accessible your items will be, and how special the space will be. We are dedicated to all of our customers and always strive to provide complete satisfaction. Once our rendering is complete and you approve everything, we will provide you with our estimate. We always encourage our customers to have estimates from others because you will be pleasantly surprised that we can do so much and still be so reasonably priced. Even though we have the top specialists and our customization is the best in the industry, we always make it affordable for you. 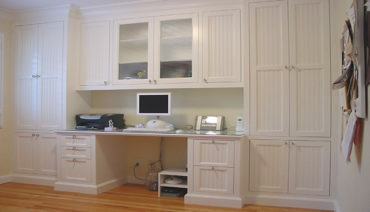 Closets Direct is ready to work on your Clifton, NJ home office. There is no time like the present to update the look of your home office and make your work and time management as efficient as possible. We know how important all the details are to our customers, so we take the time to get things right so there are no questions or regrets. Contact Closets Direct to get an appointment scheduled so we can begin our transformation of your home office today.